Thank you for this excellent work. 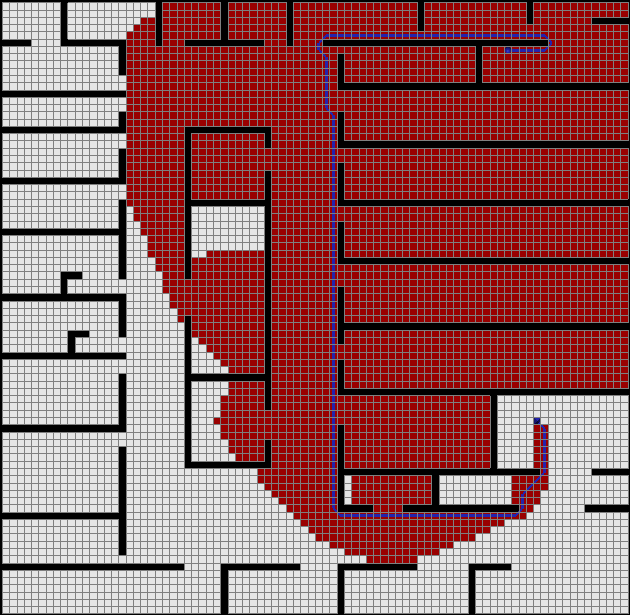 I am currently finishing up the path finding system for my game. 1: extended the abstraction part to multiple levels. 2: used a version of bush fire that expands in multiple directions. 4: nodes with low clearance values are more expensive. 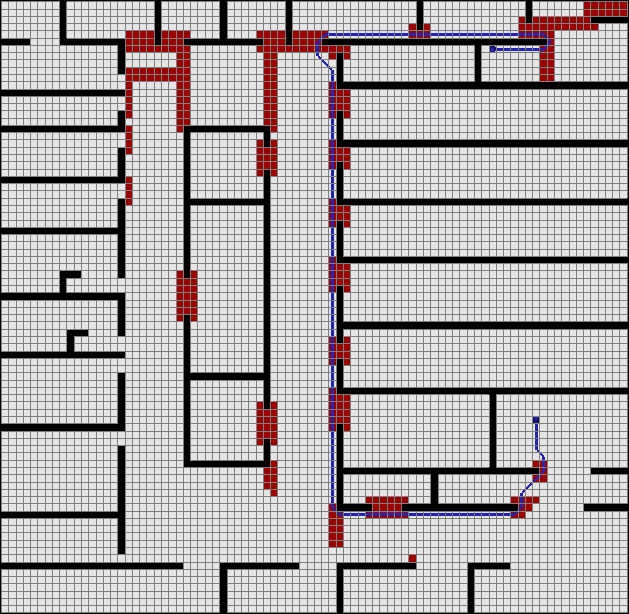 Grid maps are from a game development standpoint very important and often over looked. They are one of the best ways to convey different terrain types and for some game types particularly role playing games and real time strategy games the best option in my option. I am honestly loathed to go back and change my system. However I think these are very interesting and important papers. In a year or two when I plan to update / maintain my pathing system. I plan to read them rather intently. The biggest problem I see if you only allow nodes with uniform cost. It seems like you are giving up the biggest advantage of grid maps. Namely, the ability to have verging terrain types effect path finding. You do not need a large difference in node cost 1.0 vs 1.05 to add up to a path with very different total cost. It seems like you would be better served in uniform grid maps by preprocess the grid and eliminate open areas by reducing them to a single center node. You can do this in a way that is abstracted from the client program. It sounds like you’re doing some pretty interesting stuff; I wouldn’t mind hearing more about your game when you decide to make it public. To answer your question: the current work is indeed specific to uniform cost maps. I chose to focus on this domain since it is simple to work with but also common enough that any results might be of interest to a reasonably large group of people. I agree however that a generalisation to weighted grids would make the current work more interesting. I hope to have some theoretical and empirical results on this very problem in the near future. For the present, one simple suggestion is the following: divide your map into a set of connected components, each of which is uniform-cost. For example: if you have a map involving plains, lakes and swamps, and each of these regions is uniform cost, you could simply apply either RSR or JPS to each region. In the case of JPS, simply stop the recursion when you find a tile that has a neighbour with a different terrain type. One small caveat: your speedup may not be very large if the size of each component is small. This is because both RSR and JPS exploit the fact that, when you cross a large uniform-cost region, there are many symmetric path segments that each contains nodes with similar f-costs. Regarding the centroid suggestion: that’s a nice idea. 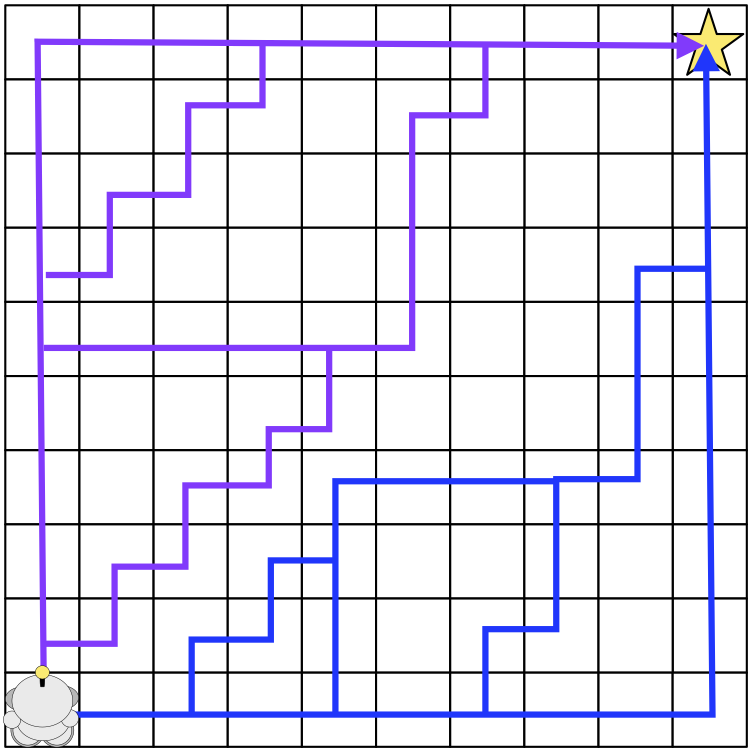 I believe Nathan Sturtevant implemented a similar system for the pathfinding system in Dragon Age: Origins. You can read about it in . It is very fast and has low memory overheads but it is not, however, optimal. 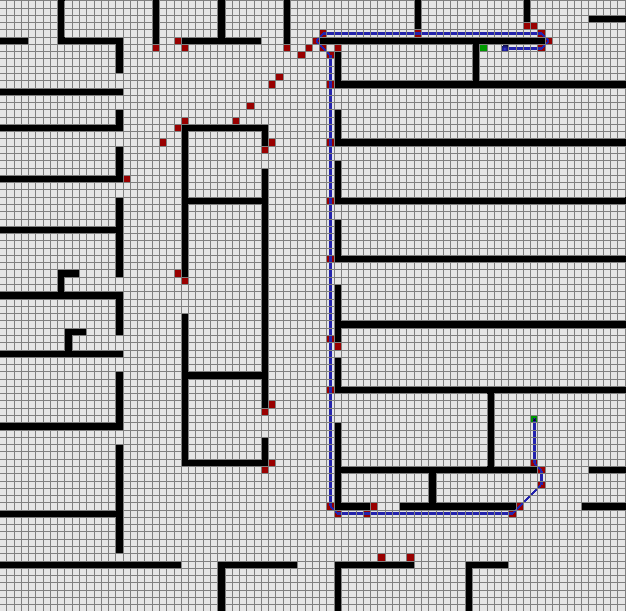 I think Nathan also needed to apply some clever refinement to the abstract path to prevent characters from navigating to the centre of large rooms before heading for the exit (this can look really weird if the movement introduces a large detour). can i request for an algorithm or pseudocode for the dead- end heuristic ?